Diablerie - the anathema of the Camarilla. The law cannot be broken. The bane of all powerfull vampires. The temptation of all neonates. To drink the blood of your elders is to gain their power, but it is also to risk destruction. Who can resist the sweetest vita off all? 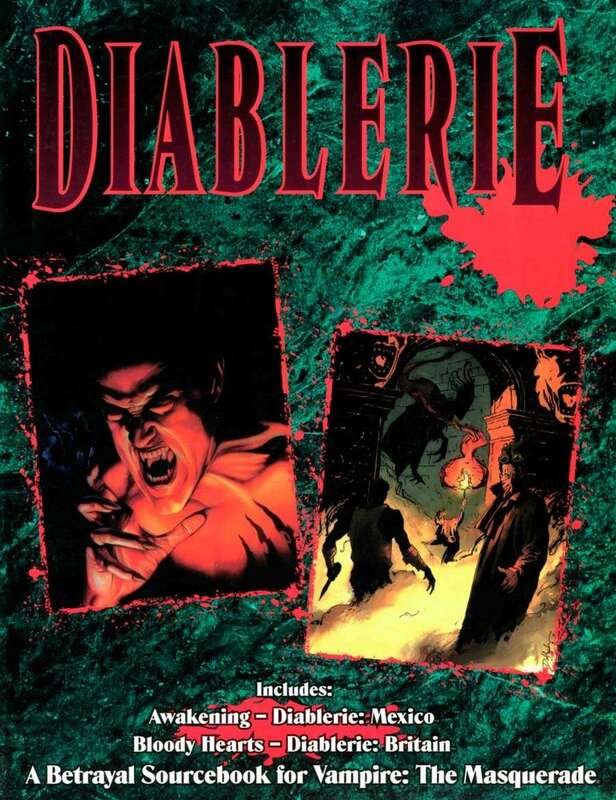 Diablerie combines the most dangerous adventures ever published for Vampire: The Masquerade: Awakening and Bloody Hearts. Finally, characters have the chance to taste the blood of the Methuselabs - and gain immeasurable power! But at what price? There are worse things than Final Death. Two of the first Vampire story supplements combined under one new cover. Complete stories about the hunt for the dreaded Methuselahs, and the chance to diablerize! A look at Gehenna and how diablerie hastens its coming.